Boston is one of the few major cities along the East Coast that I had never been to. And so when Evan had the opportunity to give a talk there, I jumped at the chance to join him. 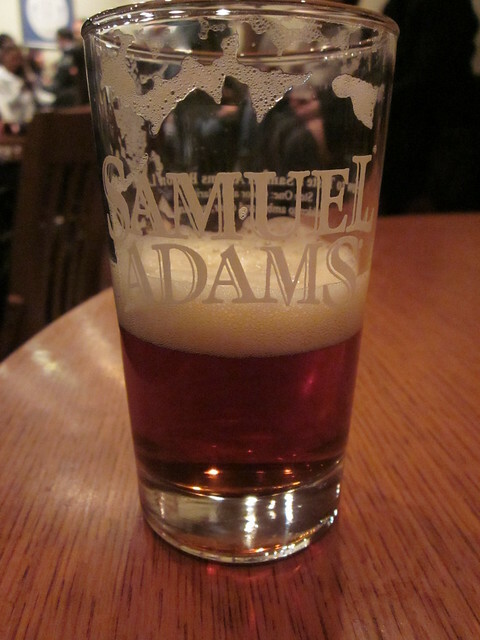 Boston has my three favourite things in a city: a cheerful feel, good seafood, and good beer. 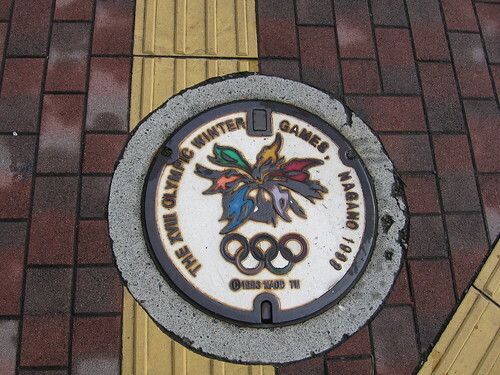 We mainly stuck to the touristy things, but we also tried to walk through the neighborhoods to get a feel for the city. 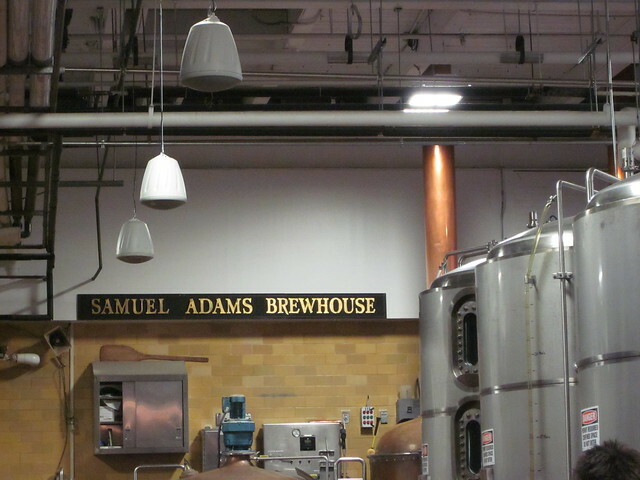 We decided to do a brew tour and since this one was free, we couldn't lose. We actually missed most of the tour part due to subway delays, but we came in time for the most important part: the beer tasting! My favourite from the tasting was the Holiday Ale. It was creamy and a bit spicy. 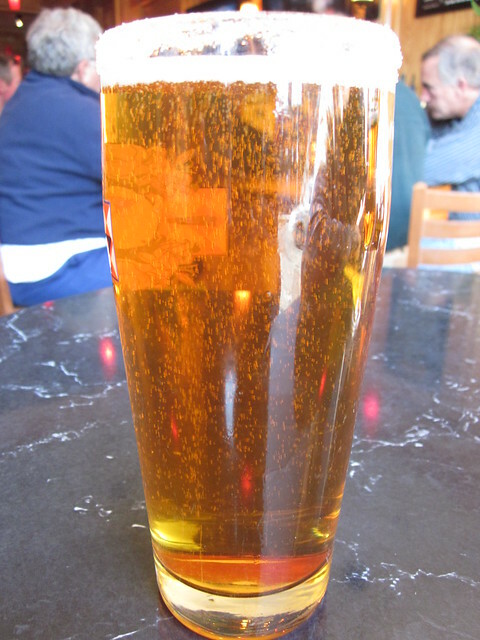 In other beer news (though not from Sam Adams), my favourite find from the trip was Shipyard Pumpkin Ale with cinnamon rimmer. Thanks to my Dad for the recommendation. This was the neighborhood I wanted to see the most. 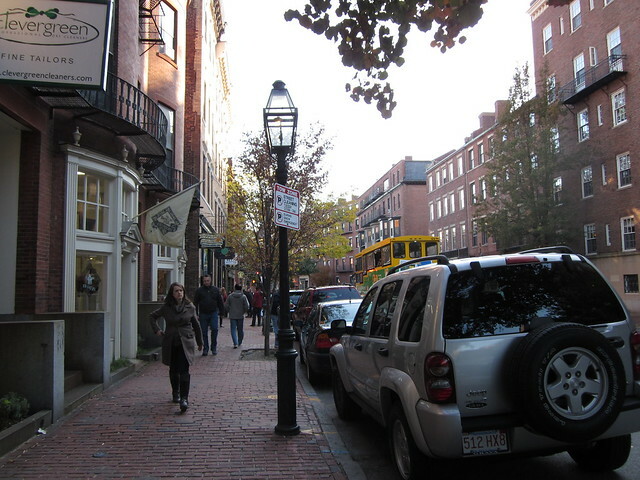 Beacon Hill is full of charm with small antique stores lining the cobbled streets. We hit up a couple of stores and the Starbucks, but mostly we just wandered. 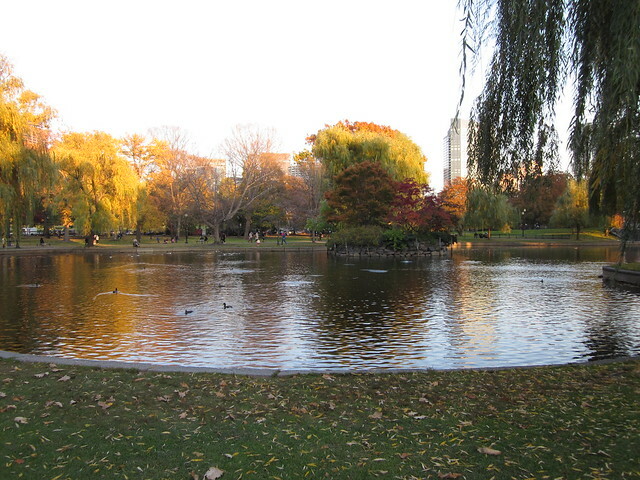 At the edge of the neighborhood is a large urban park called Boston Common. It was the perfect fall day for a walk in the park. There were two wedding parties with their photographer as well as a couple doing their engagement photos. 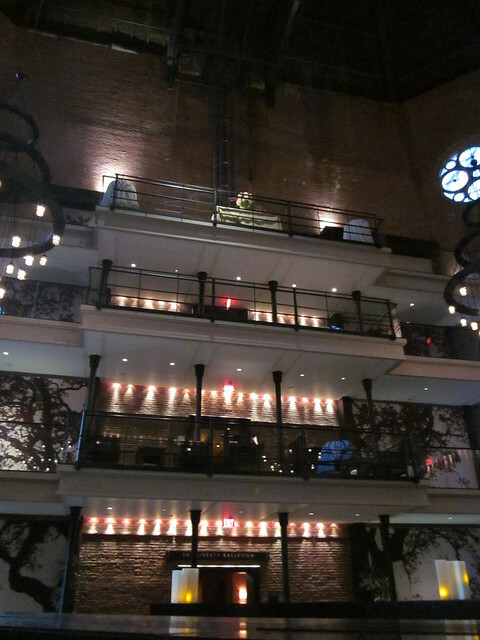 Our final stop in this neighborhood was The Liberty Hotel. This hotel was once a jailhouse, but has been renovated into a boutique hotel with an upscale bar/restaurant. We stopped in here to sit in the lobby bar and people watch. We found this spot on Design Sponge (via Laura). This was a quick stop and was mainly just to get some authentic bubble tea. I became pretty hooked on this snack/drink combo when I lived in Vancouver and its been hard to find anything that comes close to my favourite place there. 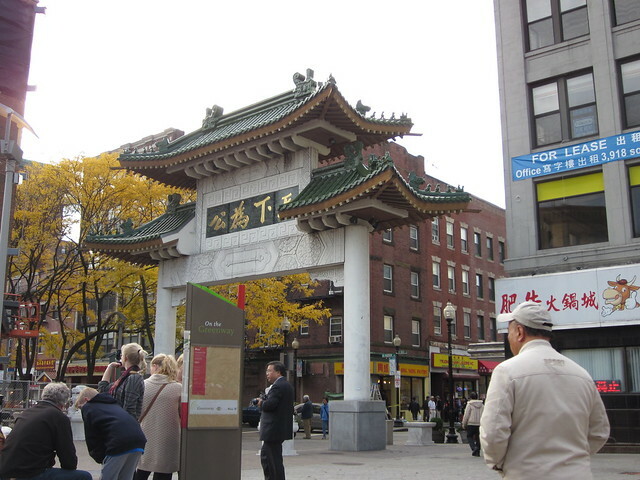 The bubble tea in the Boston Chinatown was the closest I found so far. 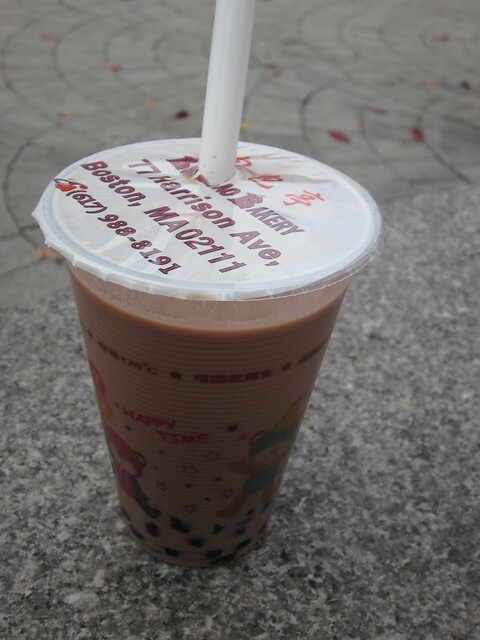 The tapioca bubbles were the perfect size and the chocolate milk was the perfect consistency. If it had been a bit colder, it would have been an exact replica of Pearl Fever. 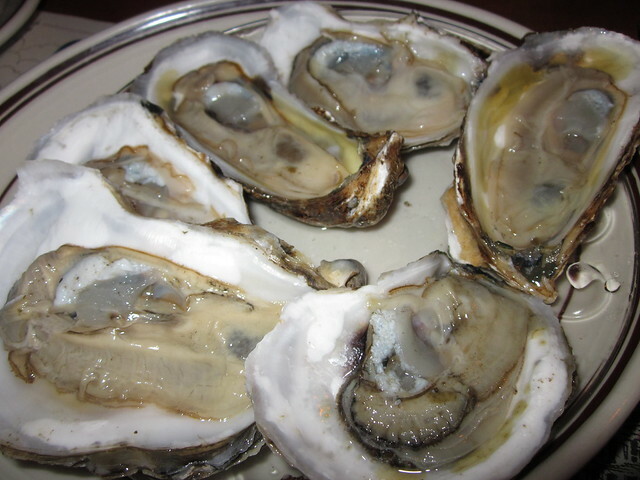 I knew I wanted to have oysters, and where better than the Union Oyster House which claims to be America's oldest restaurant. This was a recommendation from my officemate, Satoko. The atmosphere at this restaurant was great and the seafood was nice and fresh. 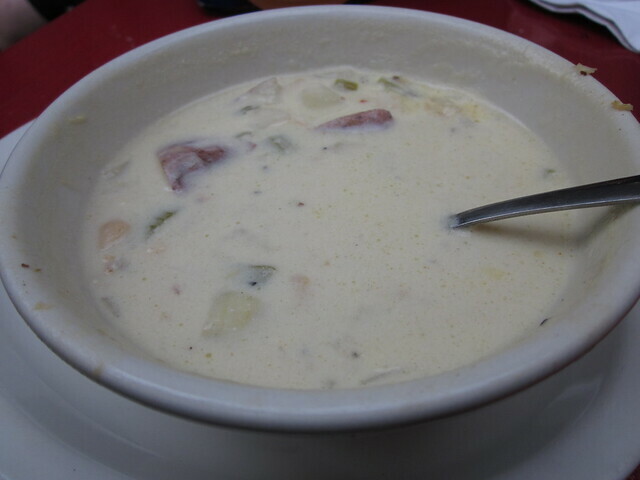 And of course I couldn't leave without having some clam chowda. Delicious. Overall, I really enjoyed the trip to Boston. This city has managed to have a big city feel while maintaining its old world feel. I hope to be back someday! Where can you find a wedding chapel in a food court? Las Vegas, of course! This summer, we headed to Sin City for a mini vacation. Sure, we went to a show (Tony and Tina's Wedding) and did a little gambling, but the part I was really excited about was having a good meal in one of the many fancy restaurants on the strip. In order to fund this extravagant meal, we ate at fast food places for the rest of the trip (hence the nifty wedding chapel trivia) and bet $50 on red (and thankfully won), but in the end it was certainly worth it. After much deliberation, we decided on Michael Mina for our big night out. 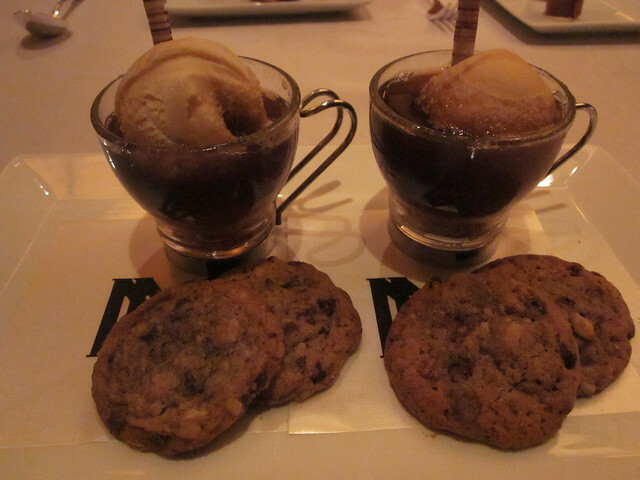 I am almost embarrassed to admit how much effort went into this decision including extensive online research and a walk through of each of the restaurants on our short list, but MM won out because it was in the Bellagio and the tasting menu looked amazing. It was the first time I have been in a restaurant that was quite so upscale and I was surprised by how diligent the wait staff was. I was impressed when they put the napkin on my lap when I sat down, so you can imagine how blown away I was when I came back from the washroom to find a brand new napkin neatly folded and a waiter that swooped in from the periphery to put it back on my lap. And they have a crumb sweeper for between courses. That's right, a dedicated tool. Just for sweeping crumbs. 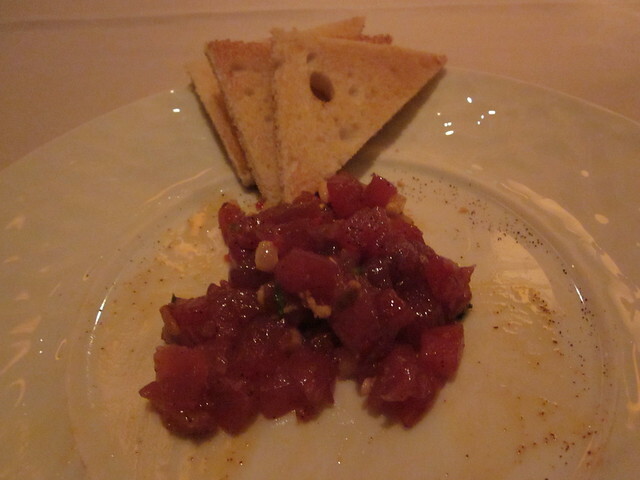 Our tasting menu started with ahi tuna tartare with ancho chili, mint, pine nuts, and sesame oil. They prepared it table side by mixing it all together while explaining the components. I wish I had taken a picture before they mixed it all up, but I thought a restaurant with a crumb sweeper probably was the kind of place where my Canon point and shoot would be judged. All of the pictures I did take were a bit on the down low. 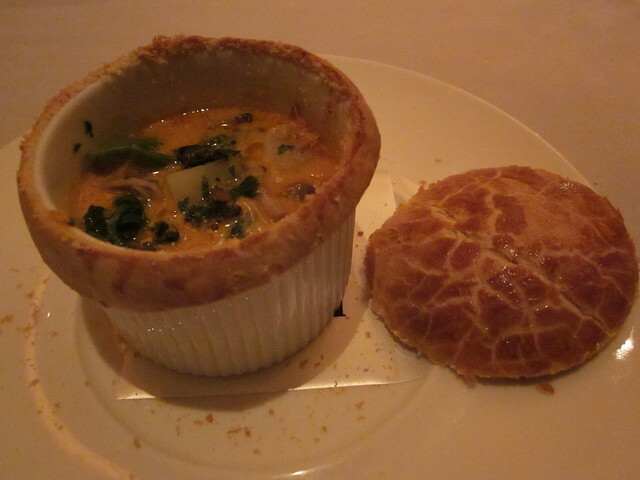 Next was a lobster pot pie with summer vegetables and brandied lobster cream. The pastry was delicious and the filling had so much lobster in it. 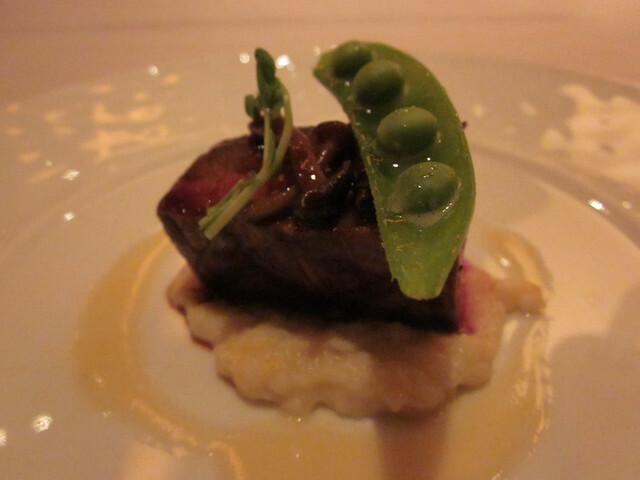 Then came the American kobe rib eye which was porcini butter poached and was served with creamed corn. 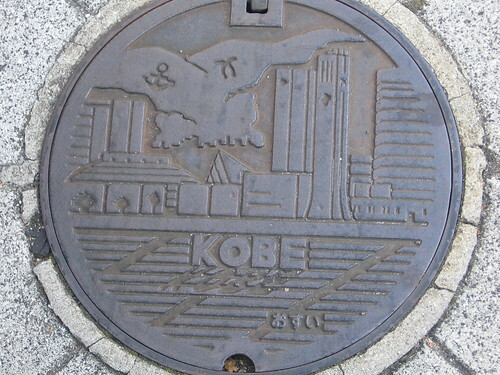 It wasn't as good as our Japanese Kobe experience, but it was a good steak. It was my first time eating creamed corn and I actually really enjoyed it. 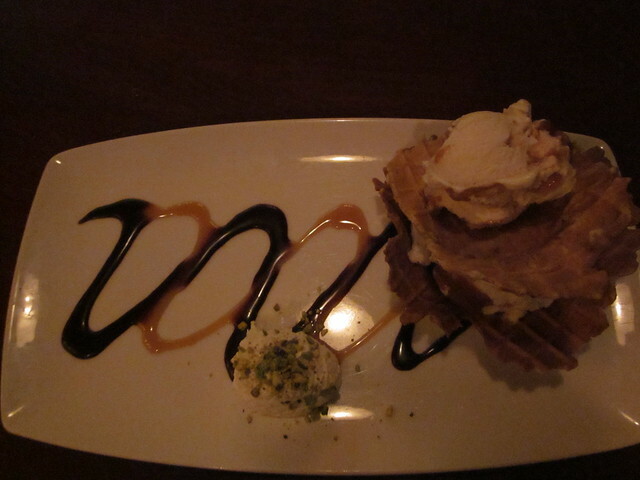 Finally, the dessert course came. 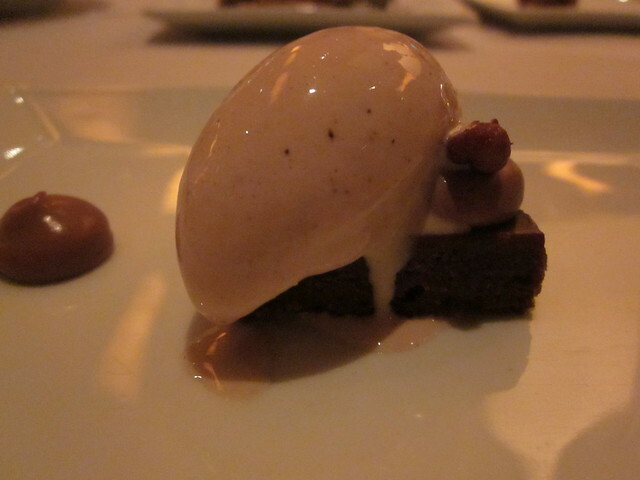 I felt full at this point, but somehow managed to make room for the glazed chocolate brownie with cocoa nib ice cream, a root beer float (with homemade root beer!) with warm chocolate chip and nut cookies, brown sugar wafers, and chocolate bon bons. Luckily, we could take a couple of the cookies to go. We didn't have any alcohol with dinner, but I don't remember how I got back to the hotel that night because I had slipped deep into a food coma. 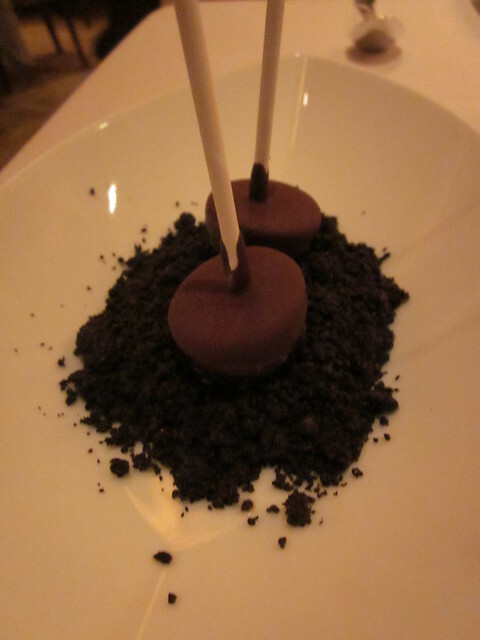 In the end, the research paid off and our night at Michael Mina was worth every penny. Some people go to Vegas for the girls. I go for the food. This week we ran out of bread, but wanted something to go with our pasta. 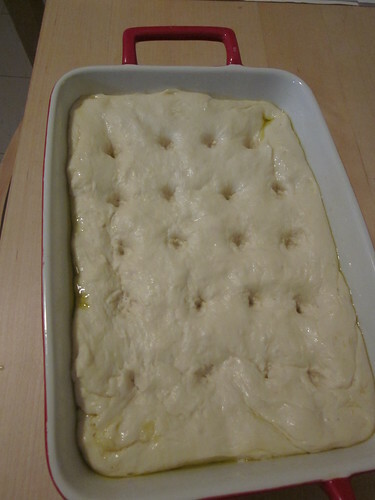 Despite having a bit of bad luck with bread recipes in the past, I decided to make focaccia since we had all of the ingredients on hand. 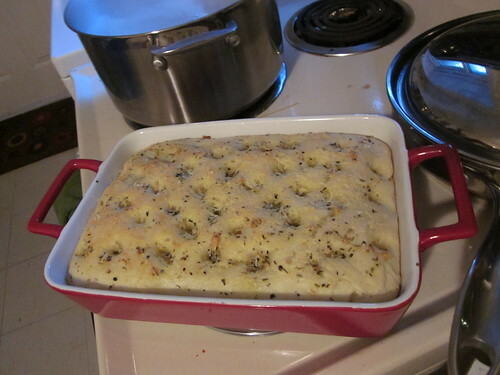 The base of the bread came from The Joy of Cooking, which I got for my birthday last week (thanks Ev!). 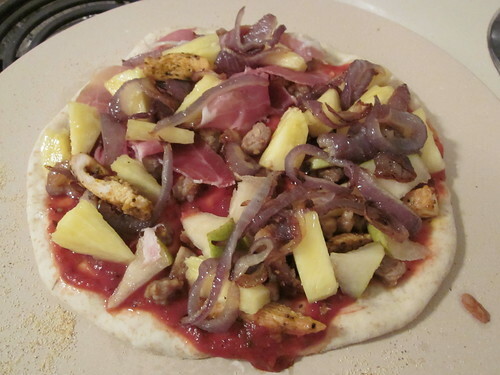 The toppings were whatever was lying around in the pantry. 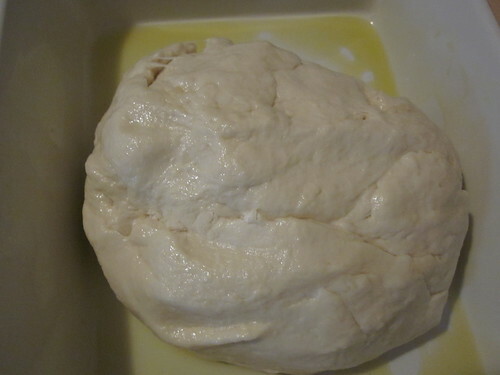 The base is a pretty simple combo of traditional yeast, flour, olive oil, and salt. 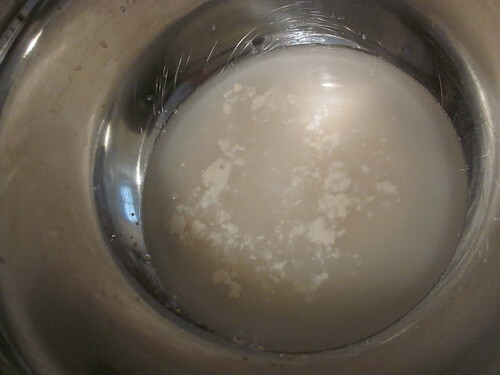 First you add a package of dry yeast to 1 and 1/3 cups of warm water. Wait 5 minutes and things should start to get foamy. 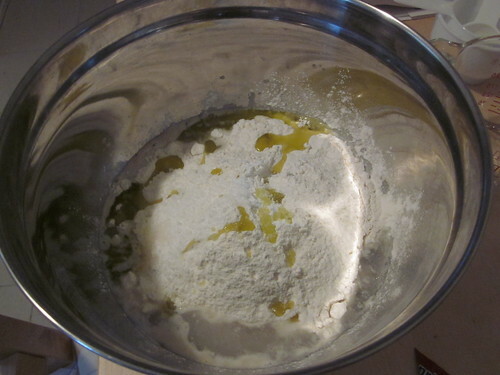 Next add 3 and 1/2 cups of white flour, 2 tablespoons of olive oil, and 1 tablespoon of salt. This focaccia needs some lovin' so you need to knead for ten minutes, no joke. 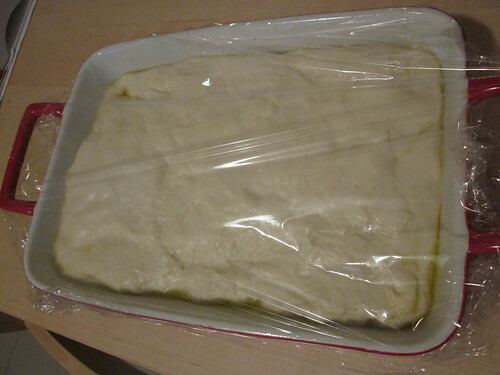 Once the dough is nice and firm you can spread it out onto a baking pan. 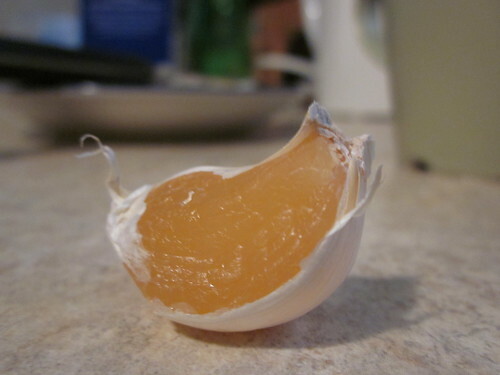 Set it in a warm place for an hour and a half so it doubles in size. Poke the top of the bread with your fingers. Next is the toppings. 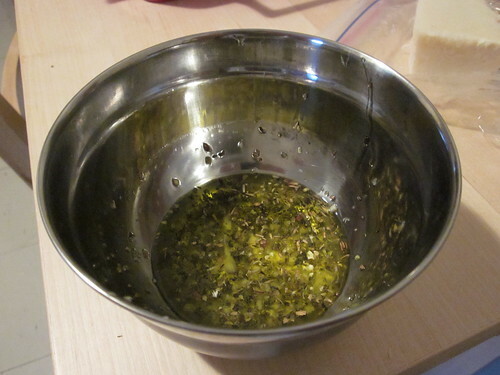 The possibilities are endless, but we went with oregano, basil, Romano cheese and lots of pressed garlic in olive oil. Bake at 400 F for about 30 minutes. I think it ended up tasting quite good considering it was the first time I made it. 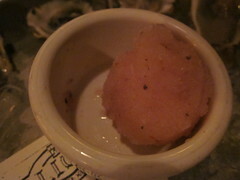 We served it with some olive oil and balsamic vinegar for dipping. Yum. 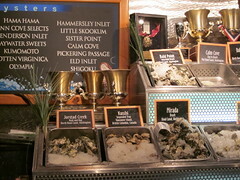 One of the sad things about living in Ontario is that its difficult to get good seafood. 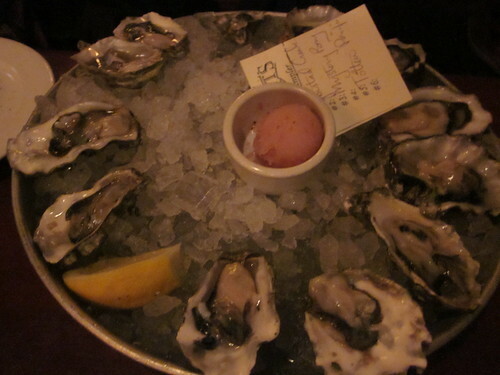 That's why, on a recent trip to Seattle, having dinner at Elliott's Oyster House was such a treat. 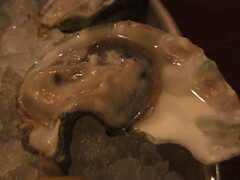 I had fallen in love with oysters in Kanazawa last semester, so I was excited to see how North American oysters compared. 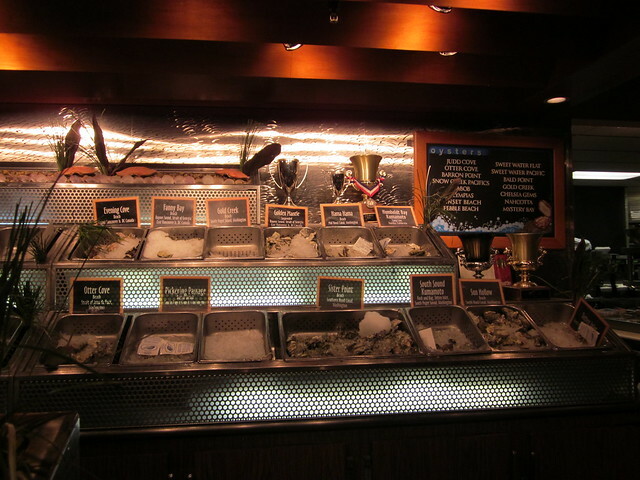 When you first walk in to the restaurant, you are greeted by a wall of oysters. We came somewhat late on a Sunday so the pails were a bit picked over, but it still got me excited for the meal ahead. First up was the apps. 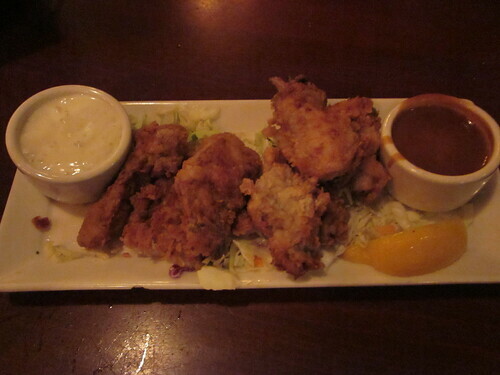 I had the crab cakes and a friend had the pan fried oysters. Both were awesome. 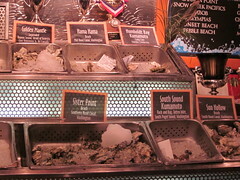 Next up was the pis de resistance: the American west coast oyster sampler. It came with a topping of salt, lemon, and champagne. I almost skipped on dessert because I wanted the oyster aftertaste to last, but in the end the sea salt ice cream with pistachio waffle cookies and salted caramel topping was too tempting. 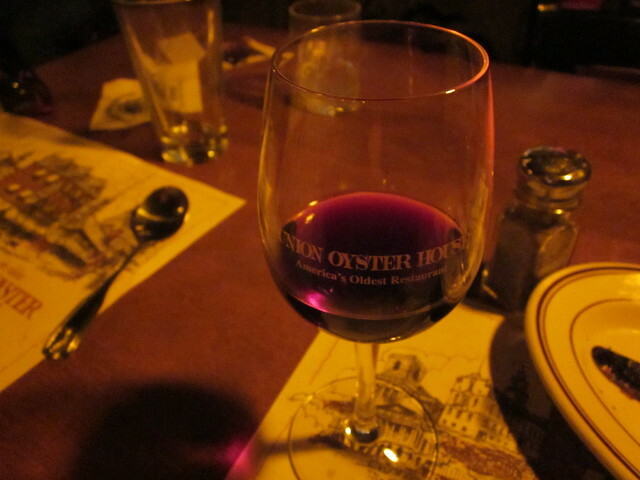 It was the perfect end to a great meal. 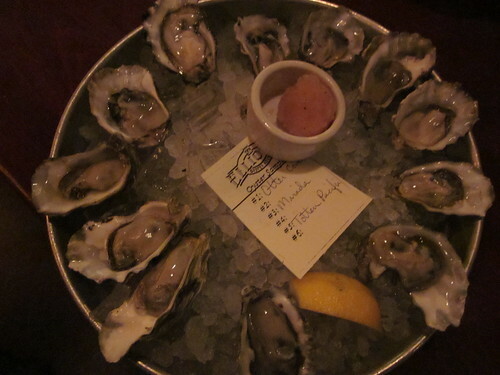 My verdict: look up Elliott's if you are ever in Seattle and bring a big oyster appetite! Christmas is all about home food, but the new year is a time for more fancy fare. 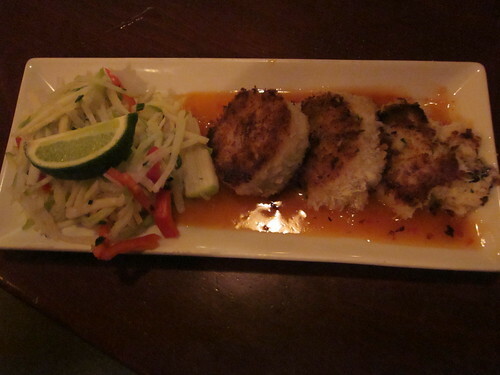 This holiday we did an at-home gourmet dinner and tried out a new restaurant downtown. 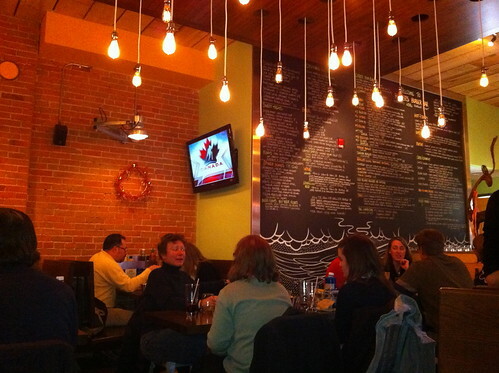 I had my eye on Atomica, a pizza and wine bar in Kingston, for some time. 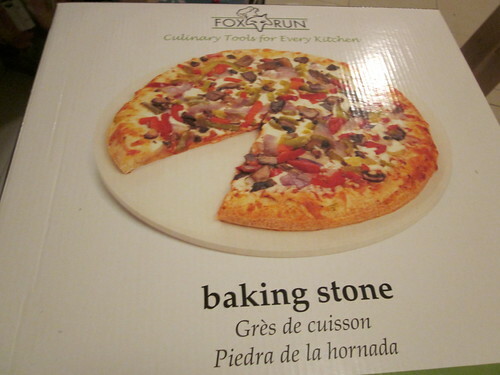 We had it on our to-do list this holiday, but bought a pizza stone and decided to do it ourselves instead. 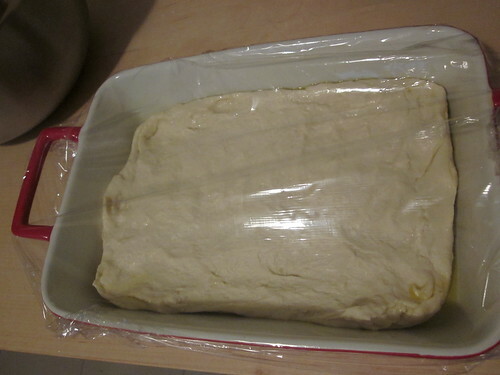 The dough was on the dry side and next time I would probably make a yeast version. 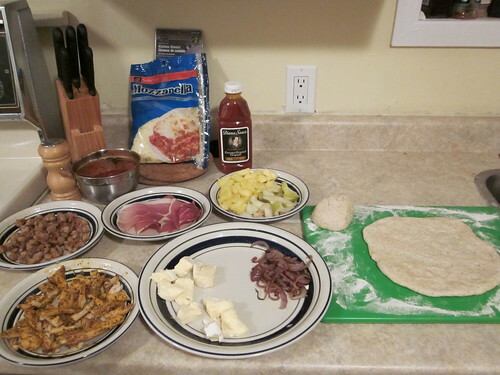 We made up for the lackluster dough with our ingredients (clockwise from top left: homemade tomato sauce, mozzarella, prosciutto, bbq sauce, pineapple, pear, caramelized onions, brie, chicken, garlic sausage). 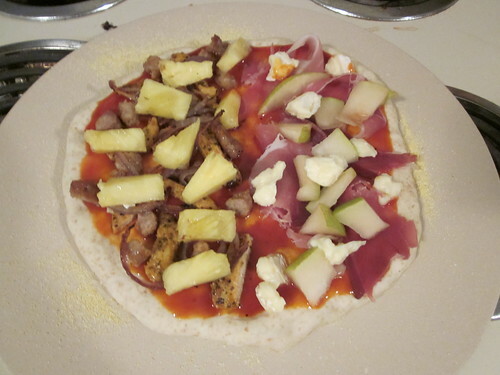 Our first pizza had pineapple, chicken, onions, and bbq sauce (on Evan's half) and prosciutto, brie, pear, and bbq sauce (on my half). 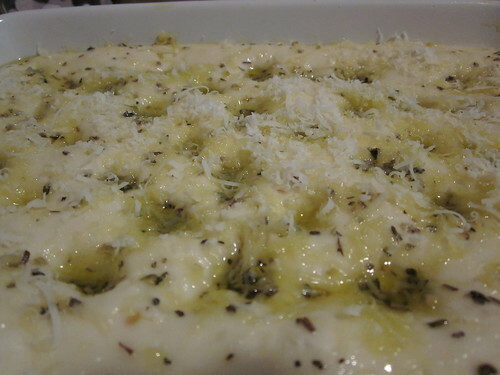 We also added some mozzarella after we took the picture. 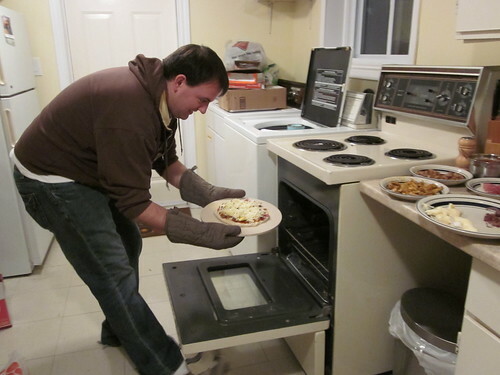 Our second pizza had pretty much every ingredient and had tomato sauce instead of bbq. And for some extra at-home gourmet flare, we had some leftover champagne from New Years Eve. With Atomic bumped off the list, we decided to eat at Harpers, Kingston's newest burger place (which also happens to be owned by the proprietors of Atomica). The place had good atmosphere and some interesting drinks. 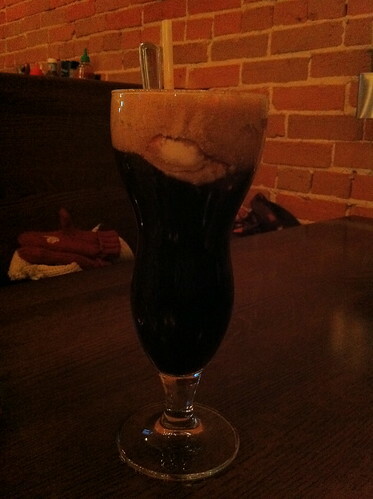 I tried their beer float, which was oatmeal stout and vanilla ice cream. I'm not much of a stout gal so I found it a bit hard to finish it, but it was interesting to try. 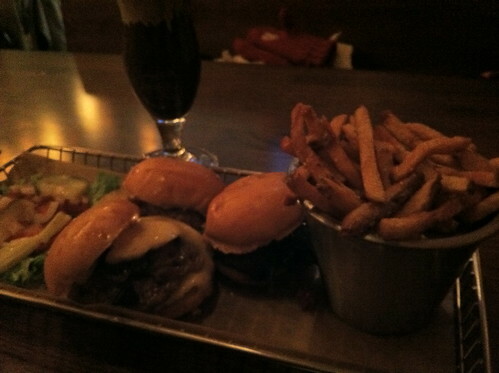 I had the slider sampler for dinner (I'm a sucker for a sampler). The three sliders I tried were the classic (secret sauce, lettuce, tomato, pickles & red onion), the umami (brie, balsamic candied onions, soya glazed shrooms, white truffle aioli), and the greek (feta, sauteed spinach, green olive- sundried tomato pesto). The umami was my favourite. 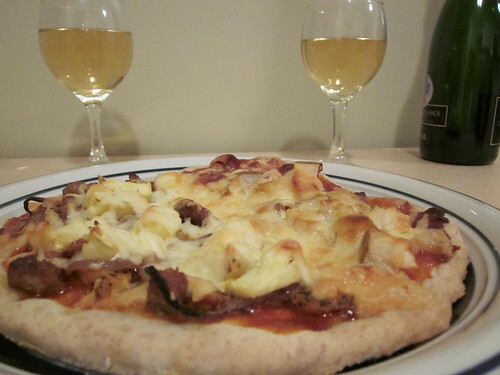 The brie and aioli made it really creamy and the onions and mushrooms had a nice punch. 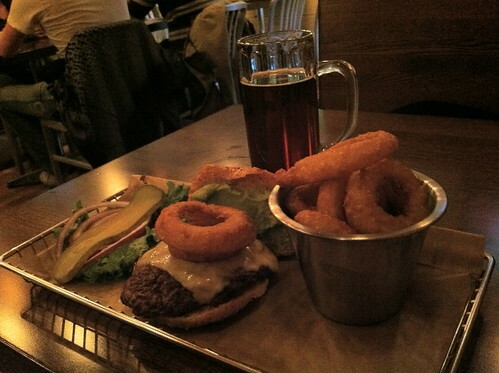 The greek was good, but the texture of the spinach on the burger was a bit hard to get used to. Evan had the delicious (gouda, avocado spread, onion rings, south carolina BBQ sauce) mainly because he likes to have onion rings on his burger. He seemed to like it a lot. Sometimes its nice to have a meal that has a little something extra to it. 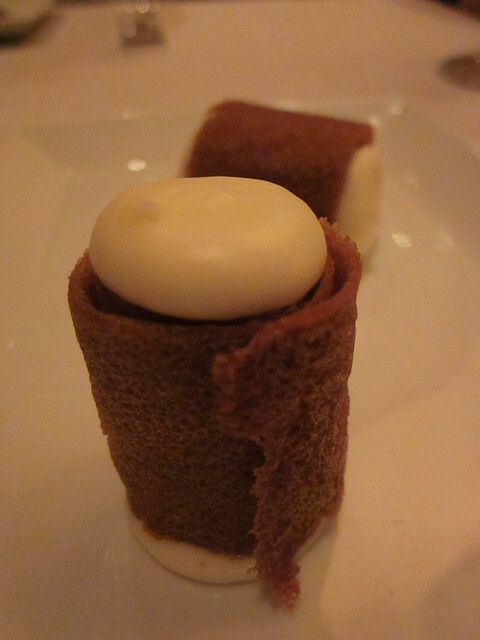 Special ingredients, a nice atmosphere and good company is what gourmet is all about. 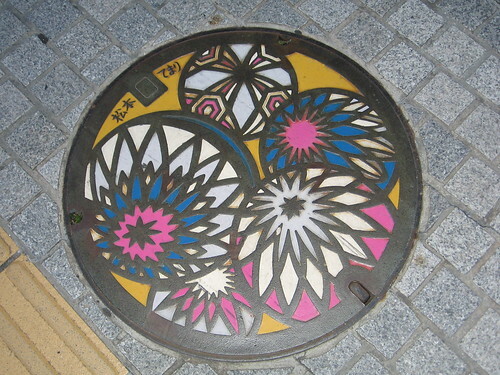 If you are looking for some colour in Japan, just look down! 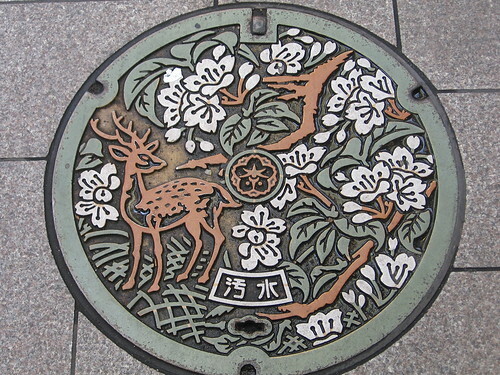 Many cities have transformed their much overlooked manhole covers into unique artwork.